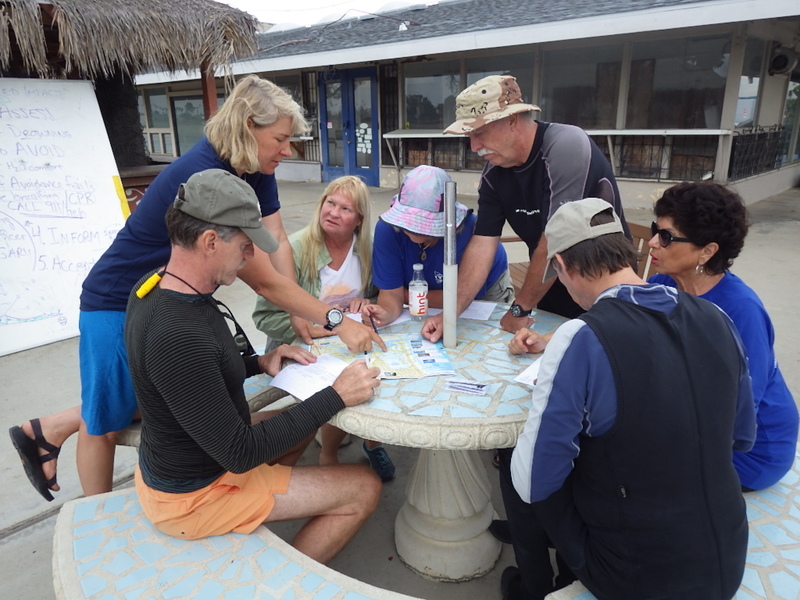 Six people took part in the first Leadership Class offered by the joint effort of the club and Aqua Adventures (AA). 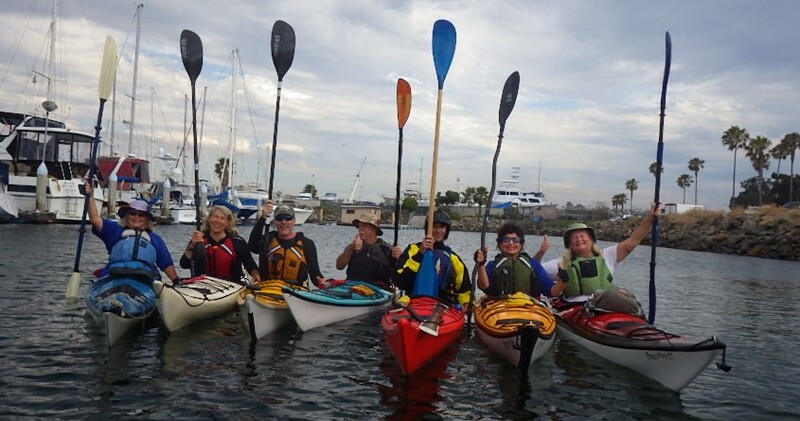 Jen Kleck conducted an excellent classroom session covering the topics of Leadership Characteristics, the Role of the Leader, Risk Assessment, Preparation for a paddle, and what to go over with the group prior to a paddle. The group looked at a map of Mission Bay and the anticipated paddle route while Jen discussed the various factors to consider on each leg of the trip. The group then formulated a “Trip Plan”, taking into consideration the different risks involved. 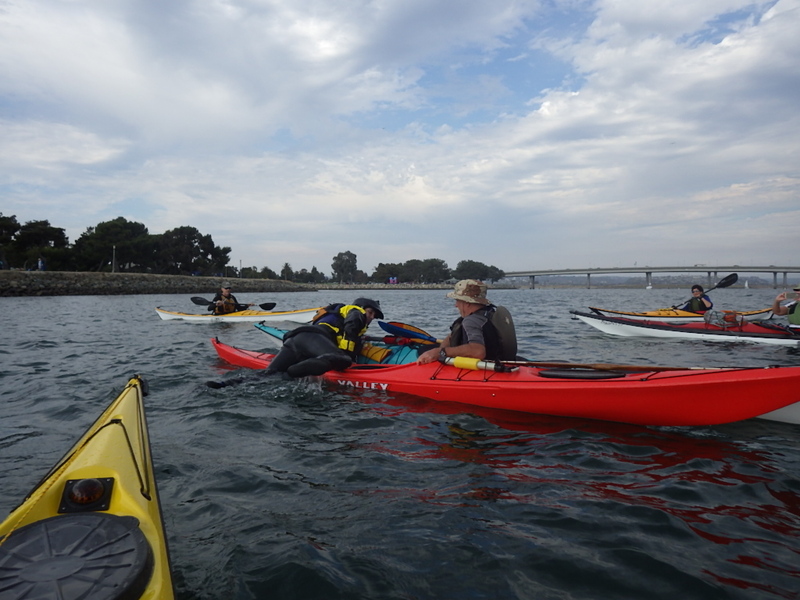 The water session consisted of each member taking a turn at leading the group, and also involved a rescue practice in the open bay. 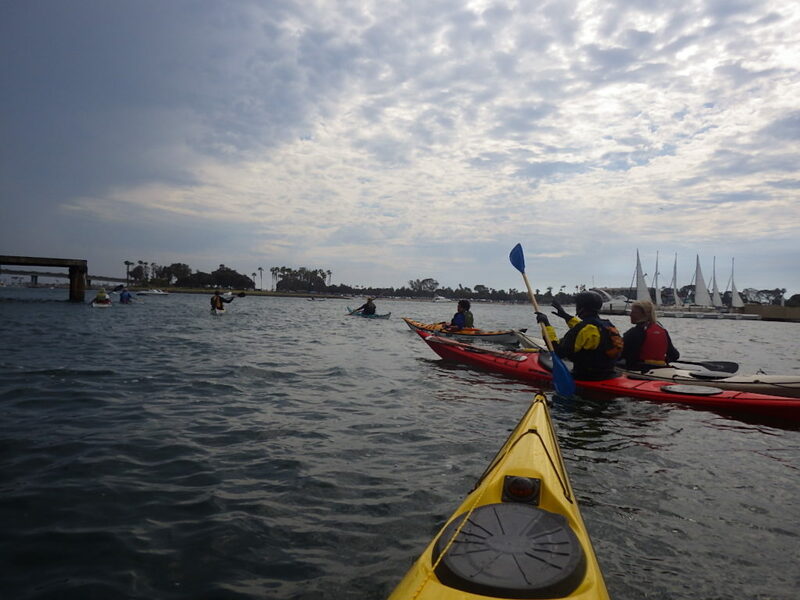 Jen did an amazing job in both the classroom session and the water practicum. She teaches with authority, focus and energy. If you ever have an opportunity to take a class from her, you will not regret it. 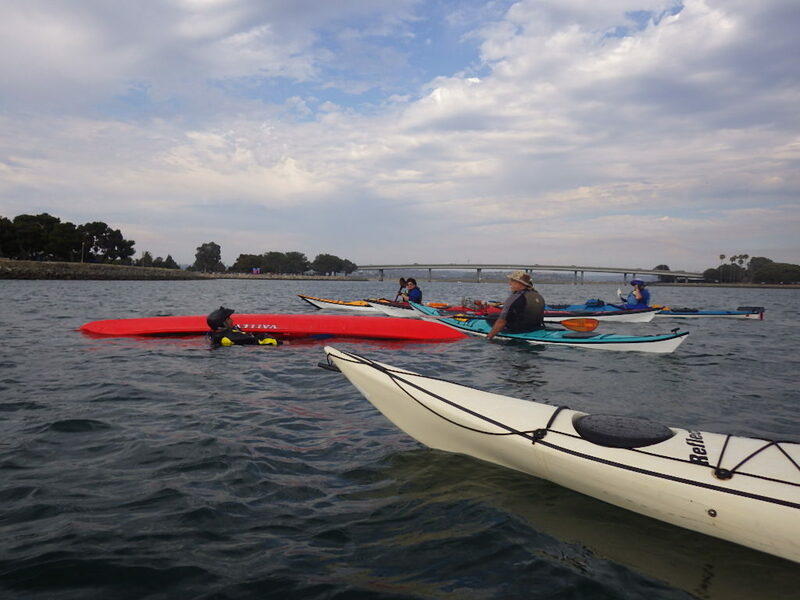 Be sure to check out all the courses AA has to offer to advance your paddling skills. The club thanks her greatly for her involvement with us. 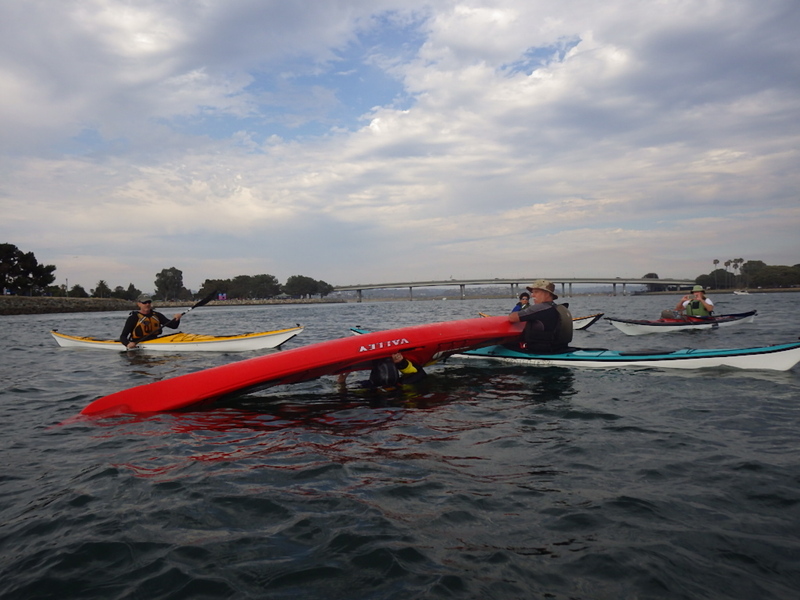 These joint-effort classes are partially subsidized by the ongoing sales of our club gear at AA, so go in and buy some gear and help contribute to future skills classes for our members. The more gear sold, the more classes we will offer. Note: The content of this course will be presented in detail soon, and found under the not-yet-created “Skills” tab at the top of this web page. 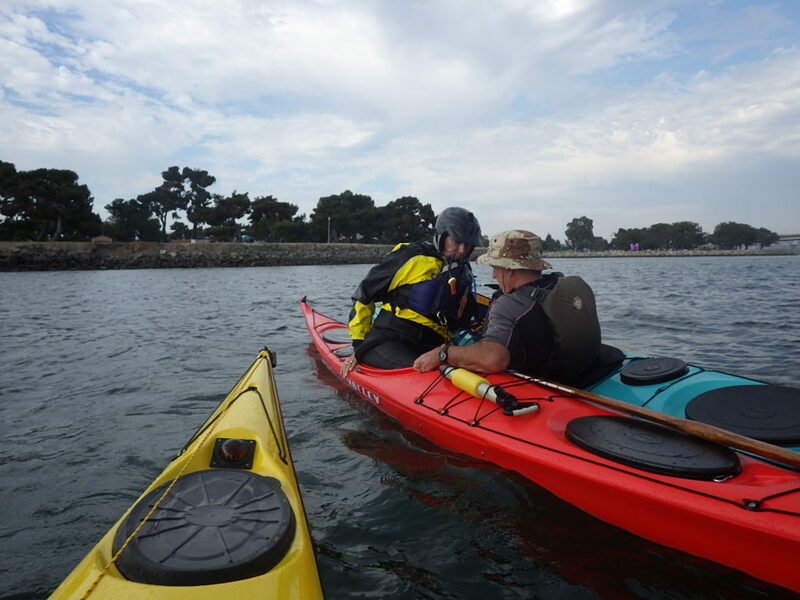 This entry was posted in Safety, Skills, Trip Report on June 20, 2016 by Jay Murdock.